Providian credit cards have been issued by Washington Mutual ever since the latter purchased Providian for around USD 6.5 billion in mid-2005. When Providian was sold, it employed more than 13,000 employees and had around 10 million Providian credit card holders. Today, Providian is a wholly owned subsidiary of Washington Mutual with its headquarters based in San Francisco. The Providian – Washington Mutual merger created significant changes in Providian credit card products. Fortunately, the changes have been immensely beneficial for card holders, offering a wide range of impressive features and options. The post merger Providian cards not only look different, but are customized to satisfy a wide range of customer requirements. Customers can choose from a wide range of Providian credit cards such as Providian Visa Platinum Card, Providian Real Rewards and Providian Cash Rewards, each of which comes with a slew of benefits and attractive features. Holders of the Providian Visa Platinum Card can actually view their Fico credit scores so that they are better enabled to improve their scores. They will also receive innumerable coupons, which they can use to get heavy discounts at retail stores and restaurants. 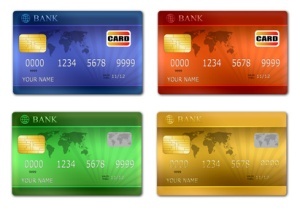 The credit limit can be set as per customers’ individual requirements. The credit card company checks the credit lines regularly and gives customers the option to increase their limit as long as they qualify by meeting certain requirements. Providian Real Rewards is an ideal product for customers who love been pampered in return for their loyalty. Card holders stand to gain a wide range of rewards just for using the card to make purchases and for paying on time. Card holders can earn points for making purchases through Providian Real Rewards cards and can later exchange their points for hefty discounts at restaurants, for free flights and so on. The good news is that they can use their points to get a reduced Annual Percentage Rate (APR) on their cards. This is, by no means, the end of the list and holders of Providian Real Rewards have plenty of ways to collect reward points and redeem them. Customers who love being rewarded with cash backs will be delighted with the Providian Cash Rewards, a credit card offering that offers cash backs whenever card holders use their cards to make any purchase. Providian Cash Rewards also offers the card holder points in return for every purchase made and card holders can later exchange their points for products or services. Providian – Washington Mutual offers a huge range of credit cards offerings and customers simply have to visit the official websites of Providian – Washington Mutual to view the entire list of credit card offerings. There are Providian credit cards to suit any requirement and once customers receive their cards, they can make all payments either in person or through phone, online, or snail mail. Providian credit cards have excellent reputation; and according to the results of a recently conducted survey, Providian – Washington Mutual cards occupy a position in the list of ten top credit cards in the US.